Read this article on Mark Mitchell this morning. I’ve heard of him before as he transferred out of my old school district. Sounds like he is the real deal. Unfortunately I’ve heard that Kentucky is his dream school. Like any good prospect at Miege he won’t end up at KU. Do kids now even remember Releford? @FarmerJayhawk Cozart too. Both went so well. With the state of the football program in recent times, hard to blame the athlete. If I recall correctly Cozart did well at Boise State and now plays in the Canadian League and Ryan Willis is doing much better at Virginia Tech. 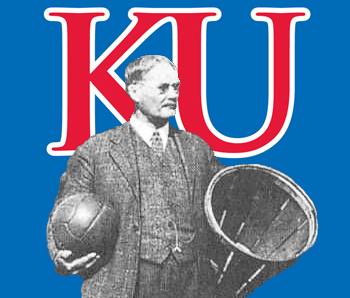 than he did at KU. @JayHawkFanToo Willis played pretty well for Va Tech this year and Cozart was a good second/situational option for a really good Boise team last year. Not to totally derail, but coaching is so underrated in football. I agree. Hard…or maybe no so hard…to tell how these players would done under a different coach at KU. Coaching is very important, and David was not good at it. Nice guys rarely are good football coaches. There are some - Reid, Vermeil etc. but my best coaches over the years were hard arses.